This is one of my favorite geometry activities to do with upper elementary students. 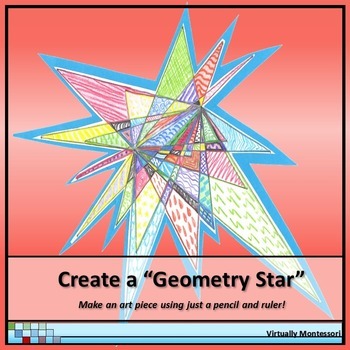 It's a simple review of point, line, line segment, endpoints, angles, and ruler use, plus the "stars" turn into unique, colorful art work for the classroom! * Type this number: 664, if you are not a robot.